Probably the most dreaded characteristic of Berlin is its continental climate – especially the ruthless winters. It feels like many expats would happily switch from a full-time residency to summer guest appearances – but as avowed Berliners, we have a bunch of strategies to cope with the cold and make sure you enjoy our beautiful Hauptstadt all year round. Read on to find out what keeps us warm and entertained! There are so many stories written about Berlin: a city of inspiration, creativity, lost and found spirit, art and music, crazy dance floor love fairytales and never ending discoveries. In the end, every story reflects its personal angle and puts a different color pallet to fill the page. Berlin is made of many different routes – so let’s ride. 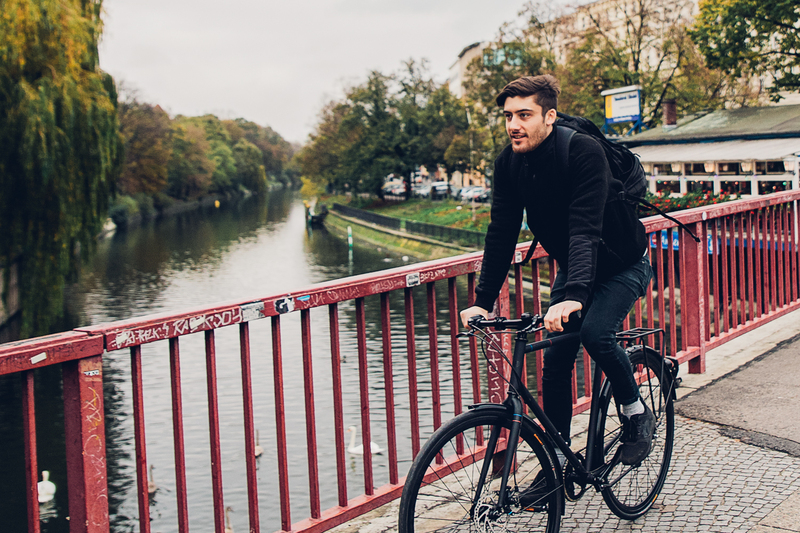 Getting into the streets by a city bike, having a cup of beautiful coffee on the way, observing the people in the streets, having spontaneous chats and exploring the local cafes and restaurants sounds like a perfect idyll of a day in Berlin. For our brand new guide we got together with the charming Edoardo, head barista of Refinery High End Coffee in Mitte and Kreuzberg, and teamed up with Creme Cycles and the bikecitizens app to create a bike tour that unites the spirits of Berlin, delicious coffee and beautiful bikes. Berlin is many things, but undeniably, Berlin is pretty damn gay. The capital is so famous as a vibrating LGBTQ hotspot with countless bars, clubs, parties, different places, different styles, scenes and people that it can all become pretty confusing. You have something for everyone here, and that can be a bit overwhelming at times. 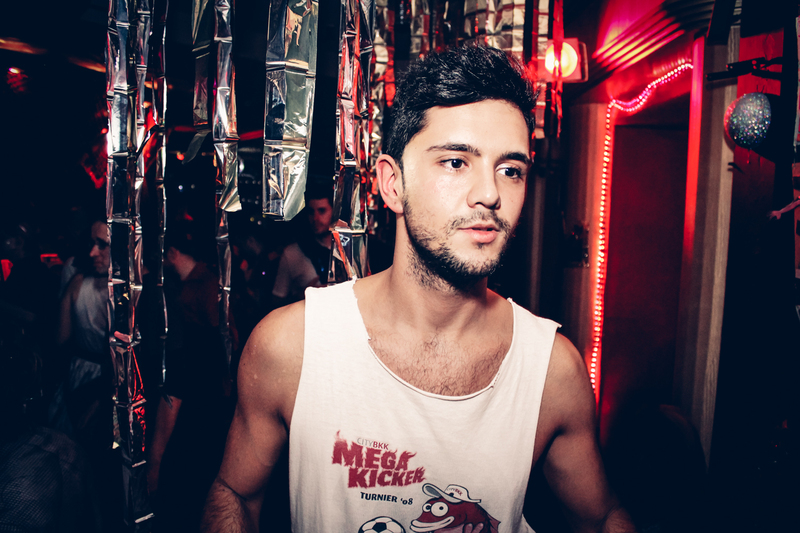 So, we put together a little list of places a Berlin gay should know. Music, is a magical ordeal. An escape from ordinary into a vast sea of feeling, vibes and sensations. To professionals, music is not only a job, but also a way to express themselves through creativity and poetry. But what for the average “9 to 5” Mensch? Recently I have stumbled along something deep that doesn’t normally meet the eye. Open Mic, Jam sessions where professionals and amateurs alike can express their feeling of passion. This is something truly amazing, that Berlin has to offer. Monday, Tuesday, Wednesday, Thursday, Friday, Saturday and Sunday, locals and travelling musicians flock to bars that post Open Mic on their webpages. 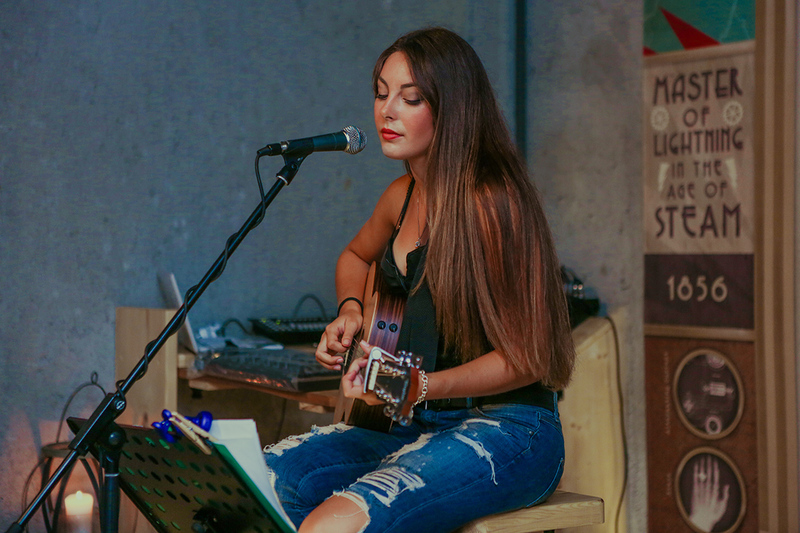 Lines and lists of these creative souls pour out their emotions, talent and comedic gestures as they blast out tunes from their piano or acoustic guitars. 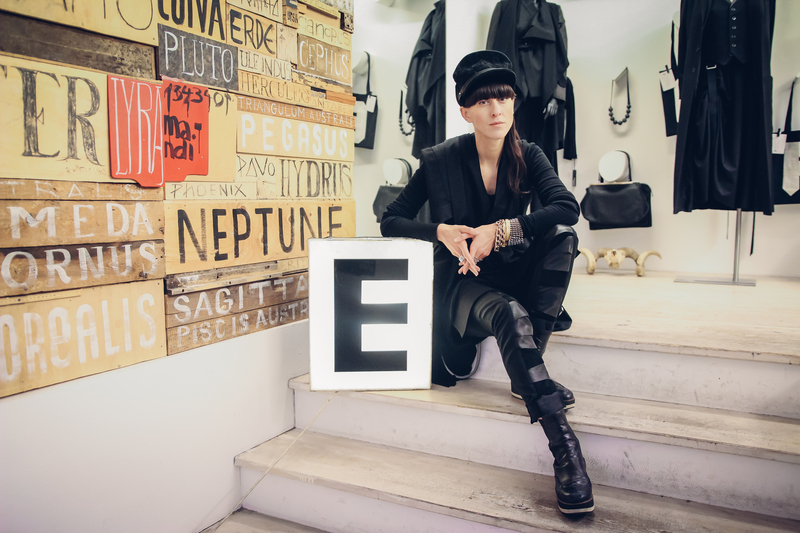 Esther Perbandt is Berlin’s number one avant-garde designer and with her label operating way over 10 years now she leads one of the most established fashion brands in Berlin. The sophisticated, androgynous style of her designs is unique – worldwide – and has gained her a fanbase that includes not only international avant-garde lovers but also the local creatives from the worlds of theater, cinema, art and music. In anticipation for her next big show that will happen in the coming week at the impressive Volksbühne theater we met with Esther to speak with her about her favorite places in Berlin. If you want to be part of the big celebration of her 13th collection on January 17th you should join us for drinks (kindly supplied by World Class and Belsazar Vermouth) at the official after show party that starts at 21h in the Sternenfoyer of Volksbühne. Urban Life is a human paradox by itself. We live between grey concrete walls just to realize that we would rather paint them with graffiti. We turned our back on the countryside just to build urban gardens on our rooftops and choose the anonymity and isolation of big cities, just to connect through social networks for joined nightlife experiences. But it is not a coincidence that cities like Berlin become a canvas for creativity for all of us. To realize what kind of potential is in our surrounding, we need people who make the first step for us, who take the first brush of paint so we are able to see the free canvas space. The new Heineken campaign “Build your Bar – Shape your City” is dedicated to those individuals making our urban life a bit better day by day. Heineken has shown a long-term commitment in creative innovative concepts for urban life already with their “Cities” Campaign. But “Shape your City” is going even a step further. Everybody who wants to create an innovative bar concept for his hometown can participate in this creative contest. Your idea will be judged by no other than our blogger colleagues Jacob and David from Dandy Diary, gastronomy experts Tobias Mintert & Philipp Treudt and Team-Heineken Germany. Now is your chance to feel inspired and see your city as a canvas for your creativity. On the Heineken campaign page you can submit your best idea for an innovative Bar concept that will change your street, your neighborhood and your city’s nightlife. You are not only competing for an amazing experience but also for the expertise to implement your concept: Heineken and the two gastronomy experts will help you realize your concept and open the bar in a totally new space. Take your chance to be part of this creative contest until the 16th of September. After the jump you will find a short spot about the campaign, which can be used as inspiration for the concept. Having studied at another culturally forgettable -yet very beautiful in the summer – German town, I always thought that the main difference between living in the capital and living in a place, where breathing large amounts of non-polluted air almost didn’t feel right, was the night life. What differentiates Berlin from other smaller cities is not just its numerous wild parties, where the right drug combination can bring you to euphoric levels of happiness despite the insufferably monotonous beats and pull you into a life crisis the next day, while wondering how you managed to look like you already had a divorce and a few heart-attacks. Luckily, Berlin is so much more than that. The main difference lies in the possibilities awaiting when the sunlight starts to dim and the city puts on a new outfit, less fancy but always stylish; not the let’s-have-a-reunion-at-the-cemetery-kind, but in a far more original way. For our latest guide we have once again teamed up with the lovely Laura Le Marchand from Down by Retro and Neukölln Shopping Nacht to give you the best of her favorite district: Neukölln. After we extensively covered all the shops and cafes in our previous collaborations we thought we’d give you something different this time: A nightlife guide including some of the hottest bars, parties and clubs of the popular district. All of these serve as perfect spots to drink and dance after an evening full of shopping and mingling at the Neukölln Shopping Night, which goes into its 6th edition this coming Saturday (May 7, 2016). Once again all the trendy spots in various neighborhoods of Neukölln will be open until 22h and offer some kind of special or mini event in their stores. More infos on the event and our new Neukölln Nightlife Guide curated by Laura after the jump.